Film Props and Clapper Board! We started filming for “Hot Water”, Cool it Schools latest project, and we’re all busy making props. 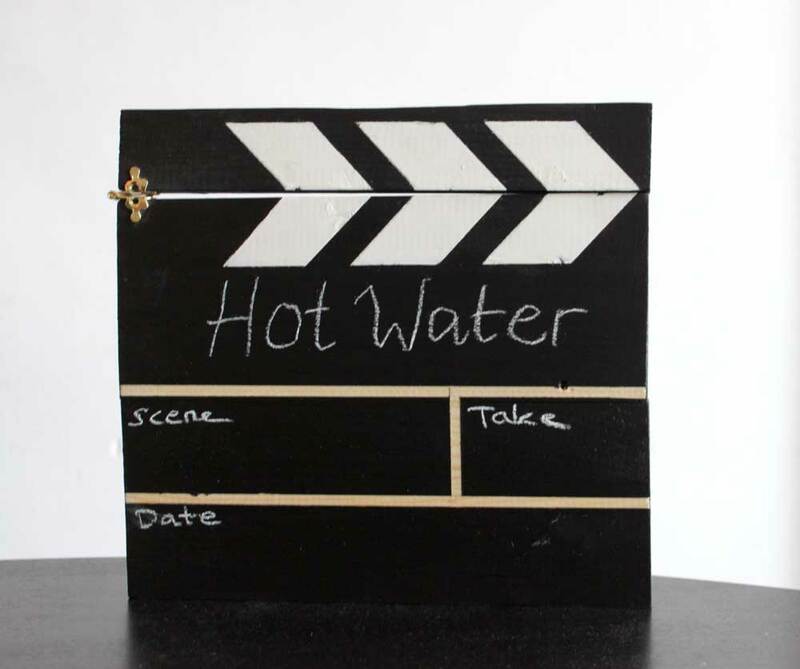 Amanda is making an Oscar and I’ve made a clapper board out of recycled materials and leftover wood. The kids love it. Camera rolling? Action!